Ditch Witch’s new SK752 skid-steer provides operators nearly 10 percent more operating capacity over similar models, says the company. 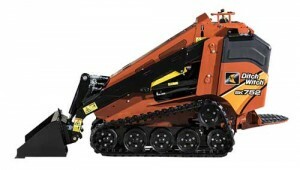 Ditch Witch rolled out its SK752 mini skid-steer, which will be showcased at GIE+EXPO. According to the company, the new skid-steer provides operators with nearly 10 percent more operating capacity over similar models. The machine features a 24.8 hp Kubota diesel engine and has an 860 lb. operating capacity. It also includes an ergonomic operator’s station with standard dual-lever ground drive controls and an optional joystick. The SK752 has a 72 sq. in. platform, with provides operators with optimal ground clearance. Additionally, the skid-steer has a two-way auxiliary control foot pedal, which lets operators maintain hydraulic flow to the attachment while keeping their hands free to control depth and ground speed.